Brace yourselves for more extreme weather – climate change is already here and is going to get worse unless we act now to reverse it - a leading climatologist has warned. Maynooth University geography professor and director of its Irish Climate Analysis and Research Units, (ICARUS) project, Prof John Sweeney said attempts by the Government over the past 30 years to tackle climate change have ‘failed miserably’ and we are already seeing the repercussions of that failure. “Ireland is already encountering climate change,” he told the Oireachtas Joint Committee on Communications, Climate Action and Environment this evening. “Everywhere in the country today is half a degree warmer than it was 30 years ago,” he said during a discussion on Ireland’s progress in meeting carbon emission reduction targets. “So we are on target for the kind of changes in climate which the rest of the world is and will experience,” he said. The increased temperatures will be “crucial” for Ireland and will extend the growing season and cause complications for our biodiversity, he said. 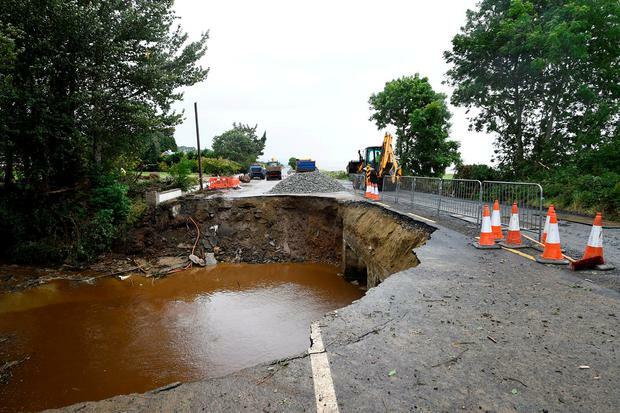 “But the real climate change impacts in Ireland will come from rainfall changes,” he said. “There will be increased winter rainfall for the west of Ireland in particular and decreased summer rainfall in the east where (the majority of) our people are located and where public water supply will become a growing concern,” he told the committee. For example, the winter of 2013-14 was “the stormiest winter in both Ireland the UK for at least the last 143 years – that’s an extreme event,” he said. The winter of 2015-16 was also the wettest on record in much of the country. But in order to reverse the inevitable consequences of climate change, the world will have to de-carbonise by 50pc within the next 20 years. “And that’s quite a tall order,” he said. “It means that there’s no time, there’s no space for promises, there’s no space for what we might do, there is urgency in doing what we can at the moment,” he added. Without “major new initiatives” and continuing to adopt a “business as usual” approach, the targets will never be met, he warned.